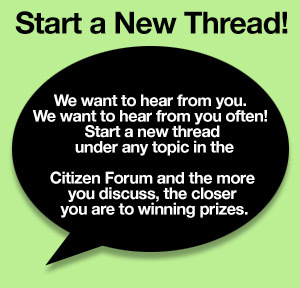 Welcome to the Citizen Forum, a safe place for peaceable dialogue. To enjoy all that PeaceOpoly has to offer, please register here. If this is your first visit, check out the FAQ. To participate, you must adhere to the Citizen Forum Rules. Last Post: $16b Power Project: Obasanjo dares Buhari, "I am Ready for Probe"
$16b Power Project: Obasanjo dares Buhari, "I am Ready for Probe"
Last Post: Is it important to survive in the trading business? Last Post: Do you think INEC will be a neutral umpire in 2019 Elections? Most users ever online was 170 at 07:42 PM on 09-13-2018. Welcome to our newest member, AkaGod1.